Nourishes dry hair and disguises split ends. Nourishes dry hair and disguises split ends. For all hair types. Add to Favorites. A repairing and smoothing masque infused with Rose Hip & Evening Primrose Oil. A repairing and smoothing masque. Manufacturer Kevin Murphy. UPC or Ean 9339341003526. Native to Australia’s Northern Territory,Kakadu Plum has the highest concentration of natural Vitamin C of any known plant. Ideal for naturally dry hair or for hair that’s been exposed to harsh, dry climates. Kevin Murphy Hydrate-Me.Rinse, 33.6 oz A luxurious hydrating and smoothing conditioner, designed to restore and replenish hair in need of repair. Ideal for naturally dry hair or for hair that’s been exposed to harsh, dry climates. HYDRATE-ME.RINSE provides an essential moisture boost to nourish dry, parched locks, and transforms the look and feel of split ends. Full of antioxidant goodness, HYDRATE-ME.RINSE leaves the hair with a nourished, healthy-looking glow. Kevin Murphy Hydrate Me.Wash Moisture Shampoo 250ml/8.5oz. Condition is New. Shipped with USPS Priority Mail. 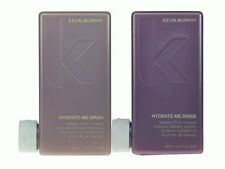 Kevin Murphy Hydrate Me Masque 3.4 oz 100 ml new in bottle! 5 out of 5 stars - Kevin Murphy Hydrate Me Masque 3.4 oz 100 ml new in bottle! 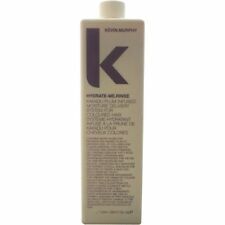 1 product rating1 product ratings - Kevin Murphy Hydrate Me Masque 3.4 oz 100 ml new in bottle! KEVIN MURPHY Hydrate Me Masque 6.7 fl oz / 200 ml *FREE SHIPPING* NEW! 5 out of 5 stars - KEVIN MURPHY Hydrate Me Masque 6.7 fl oz / 200 ml *FREE SHIPPING* NEW! 2 product ratings2 product ratings - KEVIN MURPHY Hydrate Me Masque 6.7 fl oz / 200 ml *FREE SHIPPING* NEW! Ideal for naturally dry hair or for hair that’s been exposed to harsh, dry climates. RINSE leaves the hair with a nourished, healthy-looking glow. Ideal for normal to dry hair. Kevin Murphy Hydrate Me Wash nourishes hair. Trending at $29.24eBay determines this price through a machine learned model of the product's sale prices within the last 90 days. 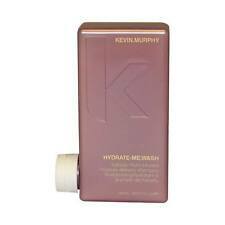 Kevin.Murphy Hydrate-Me.Rinse Moisture Colored Hair8.4oz. Condition is New. Shipped with USPS First Class Package. It is for hair that just cannot be repaired, for hair that is naturally dry, or for hair that lives in a very dry climate. How to use: Apply to wet hair, rinse and repeat. It will nourish dry hair and make split ends unrecognizable. Kevin Murphy Hydrate Me Wash Kakadu Plum Infused Wash and Rinse, 8.4 oz. Vitamin a, b5, e & c enrich each hair fiber to give it superior hydration. When vitamins are placed onto the hair they absorb instantly into the cortex of the hair. Cacadu plum extracts stimulate the production of elastin and collagen. How to Apply: WASH. REPEAT – Apply to wet hair and massage gently through the hair and scalp. It is for hair that just cannot be repaired, for hair that is naturally dry, or for hair that lives in a very dry climate. It provides soft and smooth hairs. Paraben free formula. For al hair types. Kevin Murphy Hydrate Me Wash, Rinse 8.4 oz each and Young Again Treatment Oil 3. It is for hair that just cannot be repaired, for hair that is naturally dry, or for hair that lives in a very dry climate. It will nourish dry hair and make split ends unrecognizable. How to use: Apply to wet hair, rinse and repeat. Kevin Murphy. 6.7 oz / 200 ml. 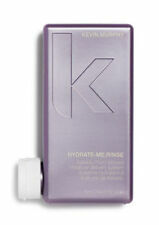 Kevin Murphy Hydrate-Me.Wash, 33.6 oz Quench dull, parched and dry hair, with a nourishing hydration pick-me-up. HYDRATE-ME.WASH is our super-smoothing, hydrating WASH that will replenish hair with much needed moisture. Ideal for hair that’s naturally dry, or exposed to harsh, dry climates, it’s packed with antioxidant goodness to help restore a healthy glow to parched locks. Ideal for normal to dry. Ideal for normal to dry hair. Condition is New. Give dry, parched hair an intense burst of hydration with HYDRATE-ME.MASQUE. Our repairing and smoothing treatment MASQUE delivers hydration and moisture to dry hair, or hair that’s been exposed to harsh, dry climates. HYDRATE-ME.MASQUE’s unique formulation features vitamin-charged, micro-capsules, that explode upon contact to deliver hydration and moisture, leaving the hair deeply conditioned from root to tip. How to use:Apply to wet hair, rinse and repeat. Salon Professional hair care product. New Arrivals. It is for hair that just cannot be repaired, for hair that is naturally dry, or for hair that lives in a very dry climate. Why Buy From Us?. You can expect our service to be friendly and professional. A luxurious hydrating and smoothing conditioner, designed to restore and replenish hair in need of repair. Ideal for naturally dry hair or for hair that’s been exposed to harsh, dry climates. HYDRATE-ME.RINSE provides an essential moisture boost to nourish dry, parched locks, and transforms the look and feel of split ends. Full of antioxidant goodness, HYDRATE-ME.RINSE leaves the hair with a nourished, healthy-looking glow. New. It will nourish dry hair and make split ends unrecognizable. Why Buy From Us?. You can expect our service to be friendly and professional. So we wish for you to only to have a positive experience. We will do our best to respond to you within 48 hours. Loaded with Seaweed Extract to promote scalp hydration. The look and feel of split ends. RINSE leaves the hair with a nourished, healthy-looking glow. Ideal for naturally dry hair or for hair that’s been exposed to harsh, dry climates. Kevin Murphy Hydrate Me Rinse nourishes hair. A repairing and smoothing masque infused with rose hip and evening primrose oil. It contains kakadu plum, seaweed and vitamin charged treatment capsules that explode on contact to deliver hydration and moisture. Vitamin A, B5, E & C enrich each hair fibre to give it superior hydration. When vitamins are placed onto the hair they absorb instantly into the cortex of the hair. Kakadu Plum Extracts stimulate the production of Elastin and Collagen.